The Supreme Court today wondered how deaths related to the sensational Vyapam case stopped soon after it took over the matter and handed over the probe to the CBI and said it meant that something was amiss earlier . CJI H L Dattu observed that “I really wonder how deaths have completely stopped in Vyapam scam since apex court took over the matter on July 9 and entrusted the case to the CBI and monitored the probe”. 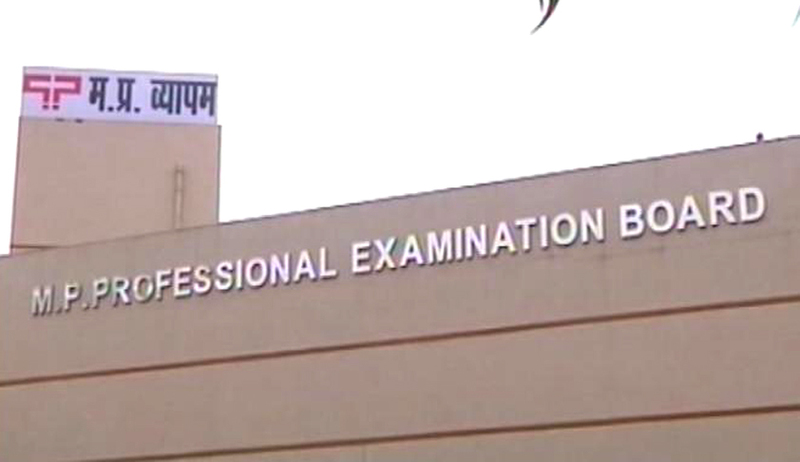 When the petition for a CBI probe was filed in the matter, it was stated that already 36 persons connected allegedly with the Vyapam scam have died and on July 9 when it was heard for the first time, the court was informed that it had climbed to 49. However, the apex court had gone by the figure mentioned in the petition and said we would not allow it to go up from 36 to 38. “We have gone through the status report. We are satisfied that there is some substantial progress made by the CBI in these cases, a bench of Chief Justice H L Dattu, Justices S A Bobde and Amitava Roy said after perusing the report of the progress into the probe filed by the agency in a sealed cover. The bench also took on record the status report of the Centre filed through Attorney General Mukul Rohatgi regarding filling of posts and creation of new posts in the CBI. The bench also asked Solicitor General Ranjit Kumar to consider the plea of one of the petitioners, Congress leader Digvijaya Singh, that CBI should be handed over all other complaints pending with the Special Investigation Team (SIT) and Special Task Force (STF). It had also ordered the CBI, which has shortlisted 19 persons as its prosecutors for Vyapam scam cases, to also appoint the remaining 29 public prosecutors by today. The bench had asked CBI to move applications in trial courts concerned if it felt further probe or re-investigation is needed in any case. The issue of shortfall of CBI sleuths to take over the investigation was also raised during the hearing and the bench asked Rohatgi, representing DoPT, to file a report detailing the steps taken or to be taken to meet the demand of the probe agency. He had said around 900 posts have been sanctioned in CBI and steps were being taken to meet the paucity of officers. The court had noted that the Vyapam cases which have now risen from 185 to 212 will be looked after by CBI, irrespective of the fact that in 78 of them the state's SIT/ STF have already filed charge sheets.